• الموضوع : Does what was corrupted by politics is amended by economics? 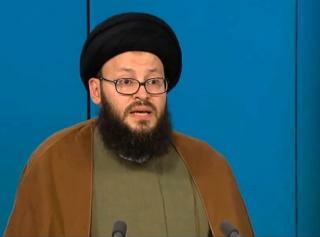 Written by: Cleric Mr. Mohamed Ali El – Husseini . The economic factor is considered one of the most important factors and fundamental pillars that the State depends on in order to manage its various affairs, and as much as the economic factor and pillar is strong and mighty we find strong and prosperous nation and prosperous populations and the opposite is absolutely true. Giving the Economic factor big consideration by various countries of the world within the framework of various and different intellectual and political systems, shows the great and important role of this factor which combines opponents and differentiate between the brothers and sons of the foreskin because of interests. If we inspected what is taking place after the fall of the communist bloc and how the world is becoming almost a single pole, we find that the most important basic features attention is directed exceptionally to economic aspect, to the extent that the intelligence of the developed countries are trying to get accurate information of the different economic structures of other competing countries. The rotation of The Economic wheel on a regular basis in any country, is shining proof that its issues are fine and there is nothing to worry, even the Holy Quran has noted this fact as confirmed in Surat Elaf (Let them adore the Lord of this House who fed them from hunger and safe them from fear), where the economic factor preceded the security factor in the sense that: halting hunger, meeting the needs and requirements to living communities and peoples, are procedures that prepares suitable ground to calm the souls and filter the minds all of which ends up in developing realistic language that sets aside violence and cruelty.